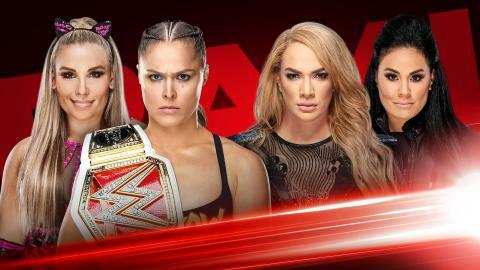 Main headlines of tonight’s show includes- Return of Dean Ambrose and teag team match between Nia Jax and Tamina vs Ronda Rousey and Natalya. Here are all the WWE Raw results 3 December 2018. Results: Bayley and Banks win via pinfall courtesy Bayley-to-Belly from Bayley on Mickie James. Results: Lucha House Party win via pinfall courtesy ropewalk senton atomico from Gran Metalik. Scenario: GM Baron Corbin presented McIntyre with Raw’s gold medal of excellence for his dominant run. Dolph Ziggler ruins the party and says that it was McIntyre who was his backup and he was the main man of the two. Ziggler went onto say that he was not invited to the party since the two men are tag team partners from a long time. Mcintyre insults Ziggler there after and says that he used him to get to the top and now he doesn’t needs him. Ziggler slams him and walked back to the locker room arena before Baron Corbin makes it a match between them. Results: Dolph Ziggler wins via pinfall courtesy superkick. Scenario: The AOP’s were at the backstage and assaulted Roode’s partner Chad Gable. The acting GM Baron Corbin intervenes and make it a three on two handicap match. Results: Authors of Pain & Drake Maverick win via pinfall courtesy lateral press from Maverick on Bobby Roode. Results: Heath Slater wins via pinfall courtesy Miller’s Crossing. Rhyno is fired from RAW and he might find a place in SmackDown or else he has to leave the industry. Results: Finn Balor wins via pinfall courtesy Coup de Grace. Results: Ember Moon & Ronda Rousey win via submission courtesy cross armbar from Rousey on Tamina.